What is a fuel debit card? Fuel debit cards allow businesses to ensure employees are spending money on fuel and not unapproved expenses. The economy is booming and jobs continue to be added. The New York Times reports that 134,000 jobs were created in Sept. 2018 and 201,000 were created in Aug. 2018. The unemployment rate is at 3.7 percent, which is the lowest rate since 1969. In the midst of all of the good economic news, companies of all sizes are focused on growth and keeping their expenses in check. One way that companies that require their employees to drive for their jobs can keep their expenses within their budgets is by distributing fuel debit cards to their employees. These are cards that the employees can use to purchase gasoline for their work-related trips without having to spend their own money. A fuel debit card may be branded as a Visa, American Express, Discover, or Visa. Some prepaid fuel cards may be co-branded with specific gas stations for use at those locations. 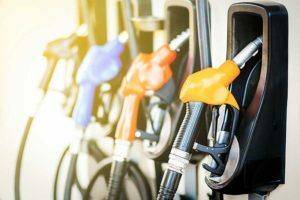 When your employees use the cards to fuel their work vehicles, the fuel cost is subtracted from your account or from the balance that you have loaded onto the cards. Fuel debit cards are not credit cards. This means that they do not require credit checks so that you will not have to worry about your credit score being impacted when you apply. Since you can see the transaction data on your statements, fuel debit cards can make your company’s fuel expenditures much more transparent. Who can benefit the most from using these cards? Businesses that range from small companies to large trucking corporations with hundreds of vehicles all benefit by using fuel debit cards or fleet cards. Using cards helps companies and fleet managers to track the fuel expenses of the company more easily so that they can identify problems that need to be addressed. Small companies that only have a few employees who drive may find using fuel debit cards to be especially beneficial. Fuel debit cards can help small companies to get a better handle on their travel and fuel expenses and to identify and prevent fuel fraud. What is a fuel credit card? How does it work? A fuel credit card is a type of gas card that some businesses use. These cards have attached credit lines and require businesses and their owners to submit to credit checks for approval. If your business uses gas credit cards, your employees can use them to purchase fuel. However, the purchase costs are charged to the attached credit lines. If you do not pay off your card balances by the end of the month, you will be assessed high rates of interest. Many gas credit cards are co-branded with major chains such as Conoco or Shell. These cards can only be used at these gas stations. This might mean that your employees may have to drive out of their way to find the right gas station so that they can fuel your company vehicles. A prepaid gas card is another type of card that you can distribute to your employees for payment of their fuel expenses. You purchase these cards and determine how much money to place on them. Your employees will then be able to spend up to the amount that you have loaded onto the cards. Many prepaid gas cards are reloadable so that you can load more money onto them. They are not linked to any accounts. Instead, you simply place the amount of money that you choose on the cards and give them to your employees. 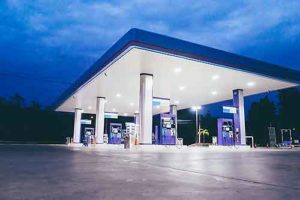 Like credit cards, prepaid gas cards may also be co-branded with specific gas station chains, meaning that your employees will only be able to use them at those stores. Fuel debit cards are payment cards that can be used to purchase fuel in the same manner that credit cards can be used. They have credit card numbers and can be used at the pump or at the register inside of the stores. However, debit cards are not credit cards. This means that you will not be turned down because of your credit score or because your business is new. You may be able to use gas debit cards at multiple gas stations. For example, the Bento for Business Visa debit card can be restricted to gasoline purchases but may be used at any gas station that accepts Visa. This might help you to save money because your employees will not be forced to drive out of their way to find the right gas station. Gas credit cards are attached to your company’s credit card line of credit. When your employees purchase gas, it adds to your balance. Any balances that are not paid by the end of the month will be assessed interest. The average interest rate that is charged for gas cards is much higher than the average rate for general purpose credit cards at 24 percent. While the cards may offer rewards, the rewards may be negated if you can’t pay your balances. Debit cards do not add to your debt and are instead subtracted from your own funds. As such, any money that is available to your employees on their fuel debit cards will not be assessed interest charges. Managing your company expenses is important. If you do not have good expense management practices in place, your fuel costs can quickly balloon out of control. Using debit cards for fuel costs can help your expense management processes. When you give your employees debit cards to purchase gas, you can eliminate the need for reimbursement requests. Some cards such as the Bento for Business Visa debit cards also can integrate with your accounting software. The data can upload automatically into Quickbooks or other popular accounting software so that you can prevent data entry errors and save time. The fuel debit cards from Bento can help you to reduce your business expenses. Fuel fraud is a common problem for businesses that have fleets. With the cards, you can see how each employee is spending your money from your online dashboard. This helps by allowing you to see the expenditures in real time so that you can act quickly if there is a problem. The cards also let you turn the cards off or on remotely and to set individual spending limits on each card by the day or by the week. The cards are reloadable, and you can add money to a card whenever it is needed. Bento for Business is a company that was created by financial industry professionals with the idea to offer expense management solutions with business debit cards. The company has thousands of customers and has earned great reviews on trusted sites and by national publications. You are able to schedule a free demo so that you can see how the cards might work for your business. Bento offers a free trial for 60 days. If you have questions about gas cards for your business, call us today at 866.220.8455.